As Sport Physiotherapist for Elite National Sport she has worked in Pre-habilitation, Treatment, Rehabilitation, and Return-to-Play criteria. Her professionalism, expert advice and outstanding interpersonal skills have been sought after and appreciated by all medical and management teams at Elite sports level, with Insurers and their Medical teams. She has a unique ability to confer and collaborate with other high-level experts in her field. She was the ‘evidence based’ clinician for the company and the medical legal advisor within and outside the company. Oct 2016 – Sep 2019: Commuting between UK and South Africa, with the ongoing involvement with the Premier League Football as Medical Advisor to Insurers. Sep 2017: Visit to Paris Saint Germain Football Club to consult for the Insurers. Oct 2016 – 2018: In South Africa getting involved with sports specific work in the community with disadvantaged youth. Also in schools around the country. November 2016: Worked as Physiotherapist at the first ever SA Adaptive Surfing Championships. On the SA Adaptive Surfing Board as the Medical representative. March 2017: Physiotherapist at the International World Tennis Championships (Over 30s) – Cape Town SA. 28th March 2017: Invitation to meeting on Innovative/biological Therapies in Sports Injury. London UK (panel including Matt Perry (chief med advisor to EPL), Lars Engebretsen (IOC medical commission) and sports ethicist Prof Mike McNamee (Swansea University). 12th – 19th April 2016: Two Workshops (“Hip and Groin Management” and “Neuromuscular Control / Proprioception” in India. List of Presentations on separate document. July 2017: Physio for 2nd Adaptive Surfing Championships in Cape Town. 2017 / 2018: Working at Groote Schuur Hospital every Wednesday (voluntary) for SSISA Sports Injury Clinic. Sept 2017: Insurance work with Paris St Germain Football Club (PSG) in Paris. October 2017: Insurance work with Wasps Rugby Club, UK. 24th October 2017: External examiner – 2nd year M.Phil Doctors. 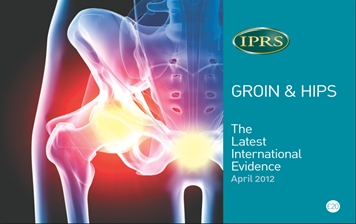 Workshop / Presentation: Groin and Hip Quandaries. July 2018: 3rd SA Adaptive Surfing Competition (Durban) – Physiotherapist and SA Classifier. Aug 2018: Invited to be Examiner for a Physiotherapy Masters Dissertation, UCT SA. 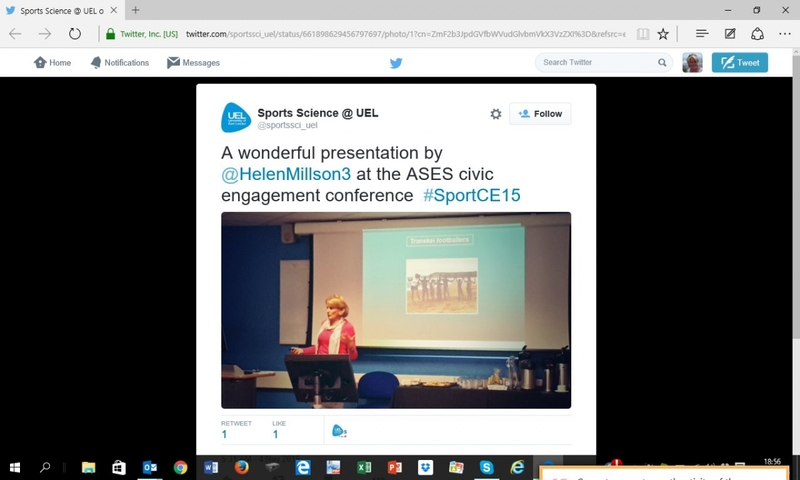 2018 – 2019: Continuing with work with Premier League and other Elite Sports Nationally and Internationally. Currently completing a Professional Doctorate through Kent University. Sports Physiotherapist Specialist consulting to Insurers for the Premier League, as well as all top Elite Sports – Team and Individual. 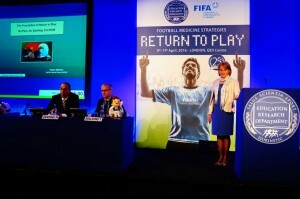 Prevention, Treatment and Rehabilitation of Sportsmen and women. 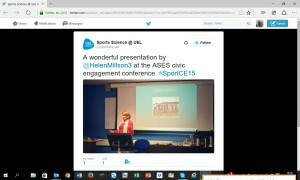 Presentations and Workshops in UK and Internationally. 2018: Work with Dr Phato Zondi for the SASMA Foundation. Other NGOS identified and meetings to be organised. 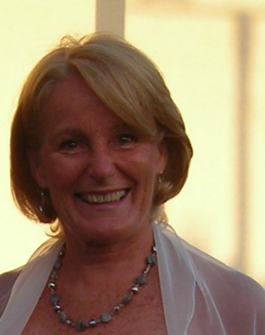 Previously Helen was the Physiotherapist for National Rugby, Hockey, Cricket and Surf lifesaving in South Africa. 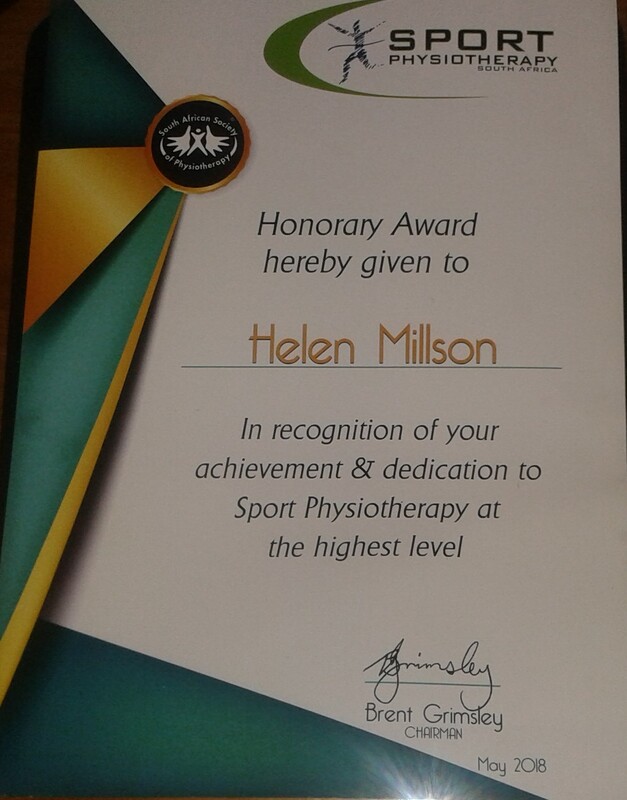 She provided physiotherapy cover for two All Africa games, Maccabi Games and two Commonwealth Games (1992 to 2006). 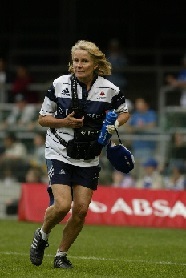 She was involved in all Provincial sports in South Africa, in particular the Super 14 Stormers Rugby team from 2000 – 2006. 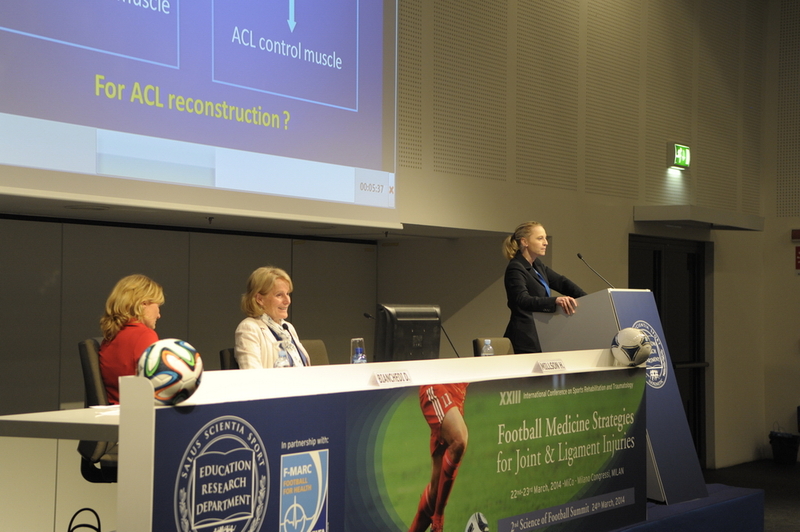 Her presentation specialities include Medico-Legal Ethical issues, Objective criteria for RTP, Proprioception and Neuro-motor control and Groin and Hip Quandaries. Presentations and Workshops given Nationally and Internationally to all levels…from Schools, Townships (SA), Tertiary Educational Institutes (Undergraduate and Post Graduate), Medical personnel (including Premier League Football), World Cup events, National and International Conferences. Dinner with top Specialists from around the world 2017. All Presentations are Evidence Based with Clinical Reasoning and Experience. 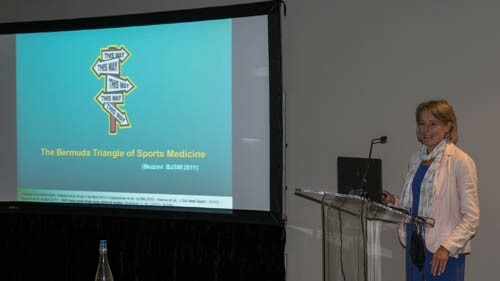 2nd March 2018: Sports Physicians Sports Science Institute of SA. 5th April 2018: Project Playground, Langa Township. 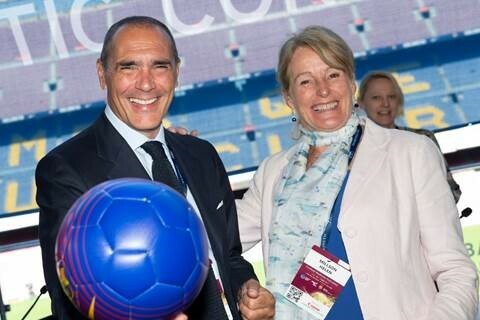 3rd June, 2018: Chairperson at the Isokinetic Conference Barcelona. 27th March 2017: Lloyds of London (UK): Medico-Legal Ethical Issues in Sports Medicine. 28th March 2017: Invitation to meeting on Innovative/biological Therapies in Sports Injury. 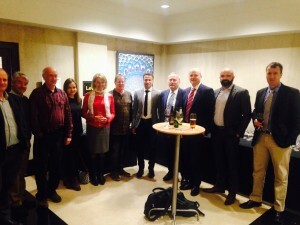 London UK (panel including Lars Engebretsen (IOC medical commission) and sports ethicist Prof Mike McNamee (Swansea University). 12th – 19th April: Two Workshops – “Hip and Groin Management” and “Neuromuscular Control / Proprioception” in India. 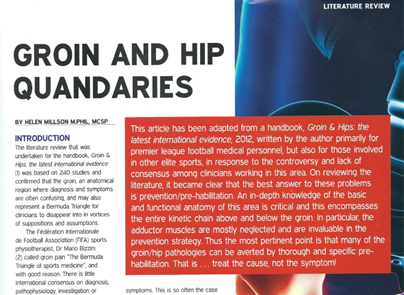 5th July 2017: Sport Injuries Centre – Journal club – Helene Simpson Physiotherapy Practice (UCT): Groin and Hip Quandaries. Latest evidence. 8th September, 2017: Sports Physiotherapy – SPT1: Medico-Legal Ethical Issues in Sports Medicine. 26th October 2017: SASMA Congress: Medico-Legal Ethical Issues in Sports Medicine. Groin and Hip Quandaries. Latest evidence. 9th November, 2017: Fundraiser for Adaptive Surfing. My role in Adaptive Surfing. 18th December 2017: Blackburn Rovers Football Club Medical team: Workshop / Presentation: Groin and Hip Quandaries. Medico-Legal Ethical implications in the Adolescent Athlete and Return to Play. 16/05/16: Suffolk Cycling group: Prevention of Cycling Injuries. October 2016: “Prevention of injuries / Enhance Performance” – First Adaptive Surfing South Africa Seminar. Jan 2015: Nottingham Forest Football:Groin and Hip Quandaries. 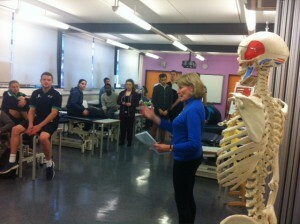 Workshops on Groin and Hips. 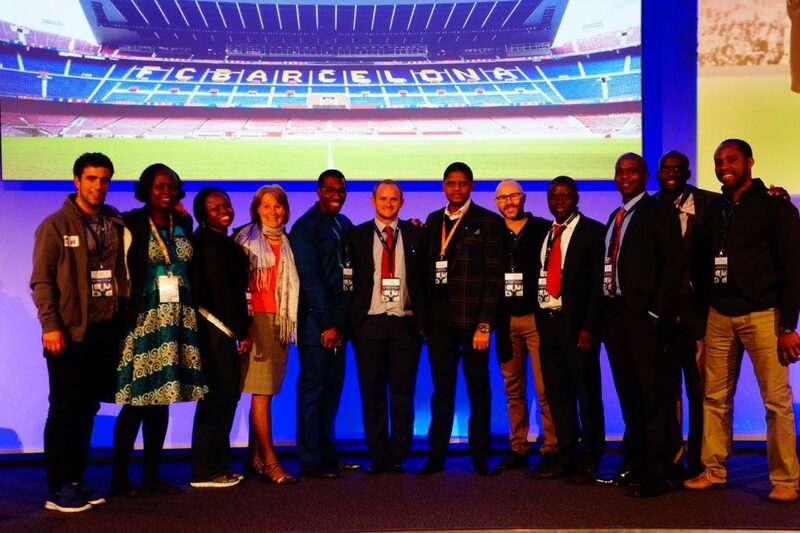 August, 2015: Ubuntu Soccer Academy: Presentation: Youth and Sport. December 2015: University of East London – “Anatomy and Functional Anatomy of the Hip and Groin” – PP and Workshop. 05/12/14: Saracens Rugby: Groin and Hip Quandaries. There are many more topics available on request. Currently (2018) completing a Professional PhD through Kent University. Sep 2018: External examiner for Master Physiotherapy post graduate – University of Cape Town. 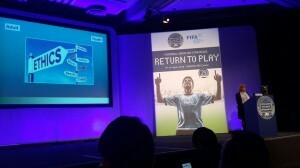 The above Handbooks were done specifically for Premier League Football and other Elite Sports in UK and Internationally. Been invited to be on Editorial Board of Indian Sports Journal. Independent Consultant as Sports Physiotherapist Specialist and works directly with the Insurers. 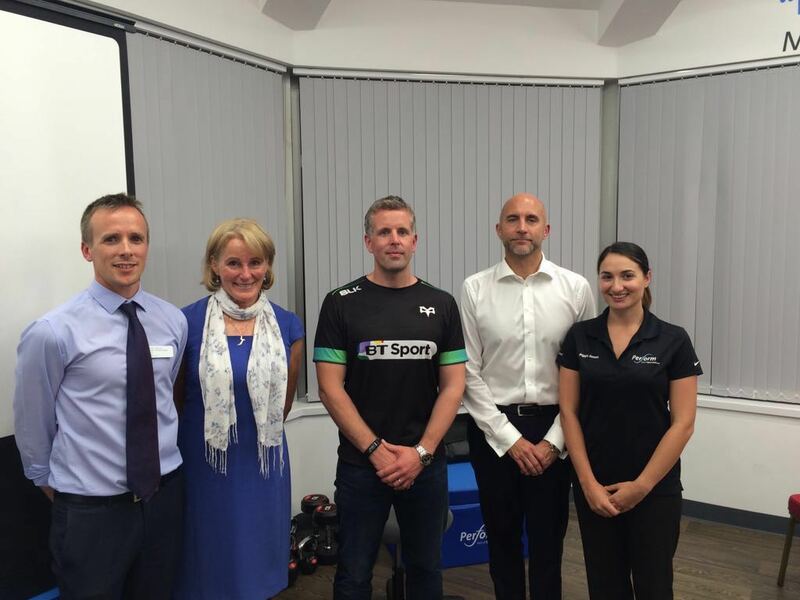 This involves Medical Advice to Insurance for Elite Sports and includes Premier League Football, Paris Saint-Germain Football Club, England Cricket, Professional Golf, International Cyclists, UAE Footballers, US Ice Hockey, US Grid Iron, National Rugby Players. 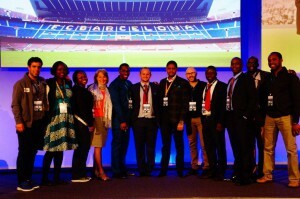 It also included International professional sportsmen and women e.g. 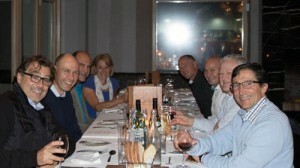 tennis, racing drivers, jockeys, skiers etc. Her role is to visit a PL Club, meet up with the Medical team (and very often the Financial personnel) and collate all the medical information of the Players who were underwritten. Thereafter she meets with the Underwriters for discussions and advice regarding the pathologies and all the permutations involved. She did similar with the Professional Golfers whereby she met up with the Golfers and questioned them about their injuries / illnesses. She helps with major PL Claims which could involve meetings with the Insurance people and Lawyers. 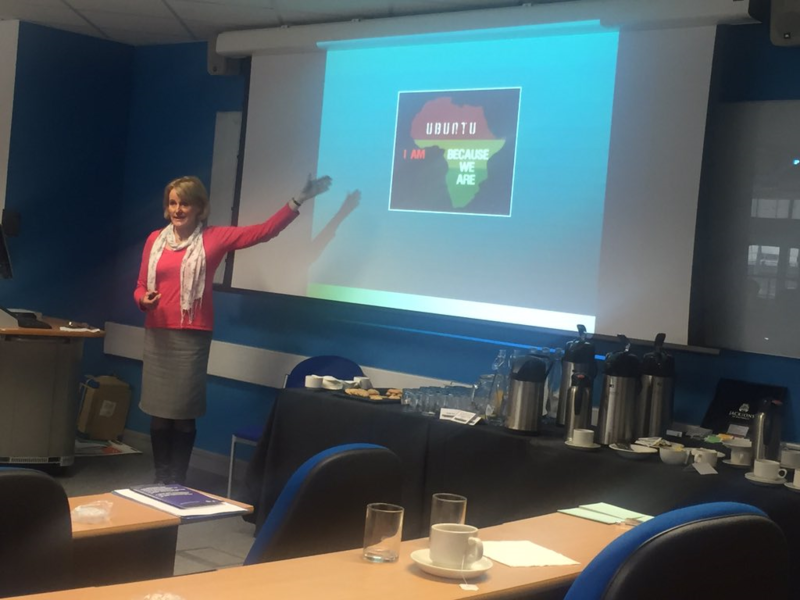 She has given Presentations to Underwriters and Brokers on Anatomy/Pathology related to the Insurance world, including Lloyds of London, QBE, Markel, HCC and Brit Insurance. 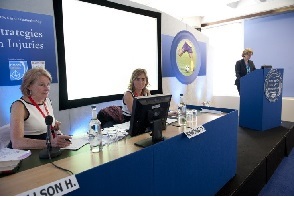 She has given a Presentation at Clyde and Co, Lawyers at their Seminar to Underwriters UK. She has written a full Anatomical illustrated document with detailed explanation of the Anatomy / Pathology specifically for Insurers. 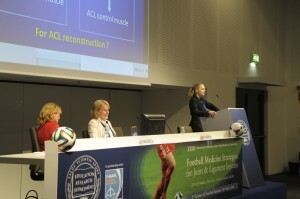 She has written 3 Handbooks on the latest EBM (2 on Knees and 1 on Groins and Hips). This was specifically for the PL medical personnel, but also for all Elite sports medical personnel. 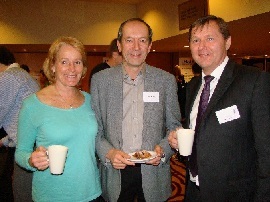 Helen attends many National and International Conferences to remain at the cutting edge of the latest Evidence Based Medicine (EBM) pertaining to specific pathologies. 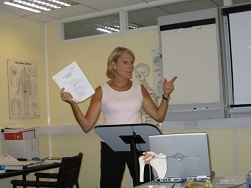 Helen gives Presentations / Workshops all around UK, SA and also India. This is also to keep up with the latest International medical information. The last 3 points gives her huge credibility in the PL and Elite Sports world, as well as the Insurance world. This included all the above mentioned Insurance job description. 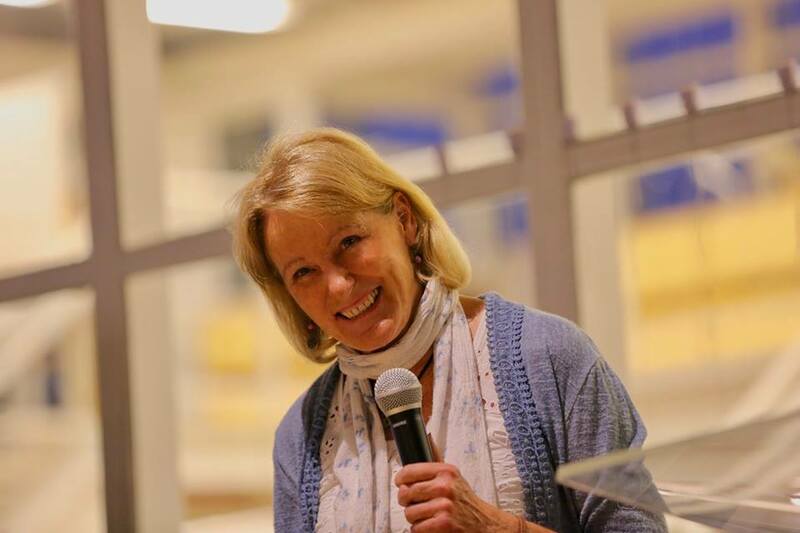 Helen at heart is a high-energy adventurer who enjoys travel, interacting with people of different cultures, kayaking, hiking and cycling (and anything else that feeds her fitness and soul). She is based in the UK and travels extensively to share her skills. Helping a runner at the Enduro race, Pyrenees whilst hiking up socially.